A significant core group of Waternish residents have completed a basic course via DVD called ‘Our Night Sky’. The youngest member of this group, Murdo MacGilvaray, received a very personal letter of congratulations from the course tutor, Professor Edward Murphy of the University of Virginia, and a certificate. 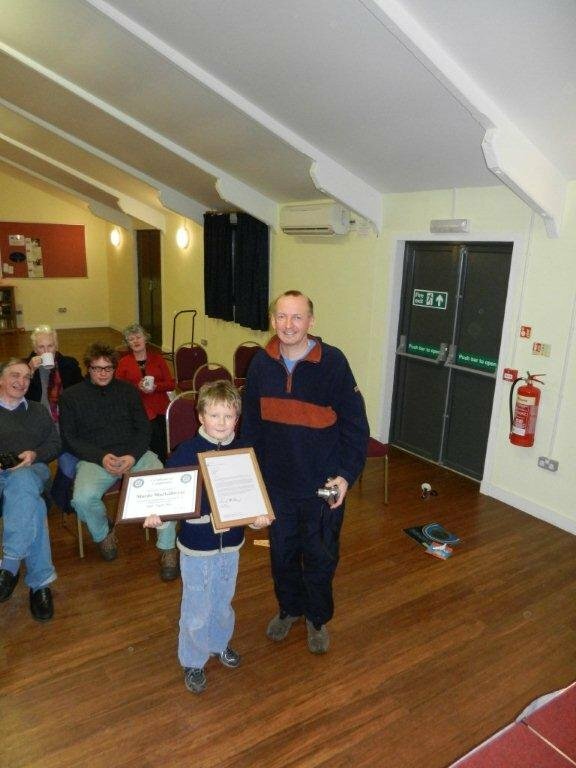 The picture shows Murdo with his proud father and his certificates.